If you’re looking for a fun night out with family or friends, then you need to take note of the top night spots near Westchester, NY. All three of these locations are great for a night out you won’t forget, whether you’re celebrating a special occasion or just looking for a reason to get out of the house! Coliseum has been created specifically to host private events like bar and bat mitzvahs, birthday parties, corporate events, weddings, fundraisers, and live musical entertainment. The large 7,500-sq. ft. facility is centrally located in downtown White Plains. When they aren’t hosting a party or special event, they offer a full-service dinner menu. Whether you’re craving food from a party you attended there or want to sample the food items served at parties, be sure to make a reservation. Specialties include marinated skirt steak, miso glazed salmon, and Parmesan and panko crusted chicken. There’s also a late night menu offered during club hours for great bites even late in the evening. The authentic menu of Puerto Rican food and signature drinks brings the perfect touch to the restaurant scene in White Plains. 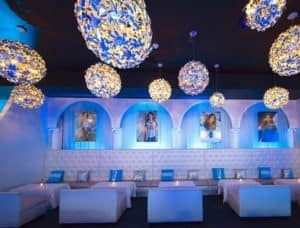 The eclectic and unique restaurant is a great spot after hours for dancing, cocktails, and bottle service. Dance to Latin-style music, and you’ll feel like you’re in Puerto Rico without leaving the state. Weekly events include Ladies Night, with margarita, sangria, and mojito specials, and the ultimate dinner special, available Monday through Wednesday. Dine at Don Coqui and get an appetizer, entrée, and dessert for a special price. There are always great after-hours events on weekends, including live DJs and specials on Fridays, and themed parties on Saturday nights, too. 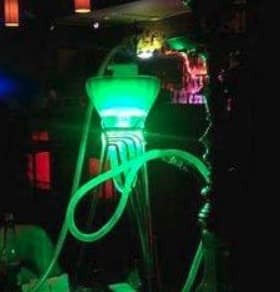 Change up your “night out” routine at Illusions, featuring a sports bar stocked with top-shelf liquor and all your favorites, and a hookah lounge with premium shisha tobacco and a range of flavors. Illusions can be a refreshing change, with live DJ, unique drinks, and a hookah bar. Pick up a perfectly blended drink and pull up a seat at the sports bar lounge, or take advantage of bottle service for that special night out. If it’s your birthday, the Birthday Package may be just the right way to celebrate, with house champagne, bottle of rose, two additional bottles, and a premiere hookah of any flavor. You’ll also receive a reserved space, to make you truly feel like the VIP you are. Enjoy a night out with friends in wonderful Westchester, NY. These are the top spots to visit when the sun goes down and the night owls emerge. Find your favorite today!